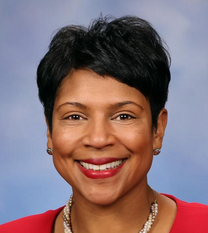 Current senator: The current senator for the 3rd District is Sen. Sylvia Santana (D-Detroit). The 3rd District includes Northwest Detroit, the City of Melvindale, and the City of Dearborn. Sen. Santana was first elected to the Michigan House in 2016, taking office in 2017. Her husband, Harvey Santana, previously served in the Legislature. According to her official biography, she worked in the financial industry before joining the House. Sen. Santana was first elected to the Senate in 2018, taking office in 2019. A map of the 3rd Senate District is available here. Sen. Santana launched a candidate committee to run for the state Senate, Sylvia Santana for Senate, in November 2017. She is also connected to a leadership PAC, Santana for Michigan, which formed in May 2017. She previously raised money through a state House candidate committee, Committee To Elect Sylvia Santana.